The Norway Opera House was constructed immediately after the fire of 1894 that destroyed much of the downtown. It was an important symbol of the town’s resolve after sustaining extensive damage. The Opera Hall on the second floor was used for performances, town meetings and even housed the town administration offices for a period. After falling into disrepair, the Opera House sat empty on Main Street for many years. Due to roof leaks, broken roof trusses, and partial brick wall failure, Maine Preservation named the building one of Maine’s Most Endangered Properties in 2003. Major collapse under the private owner was imminent. The town took the bold move of going to court to successfully take the building by eminent domain. 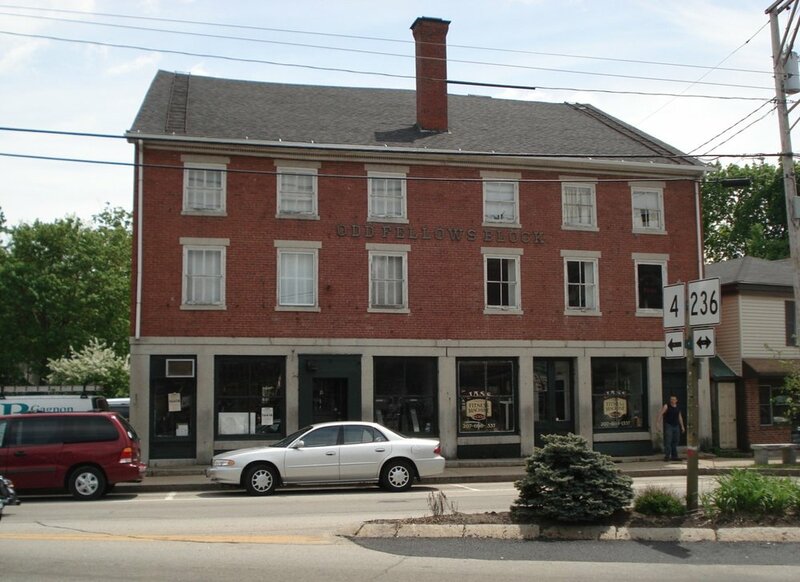 After a long battle, the Town stabilized it with funding from a CDBG grant. 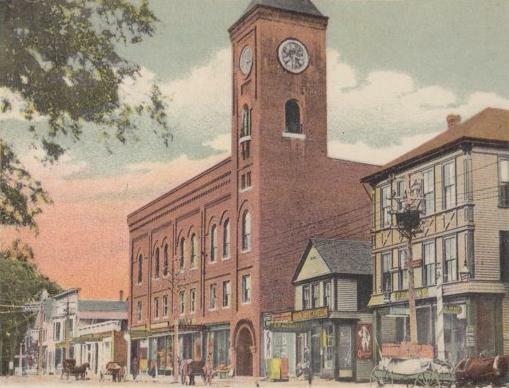 Additional funding was provided by a Communities for Maine’s Future grant, which was subsequently put on hold, so the town issued its own debt. This was leveraged with State and Federal Historic Rehabilitation Tax Credits. To use all the funding effectively, the project had to be broken into phases. 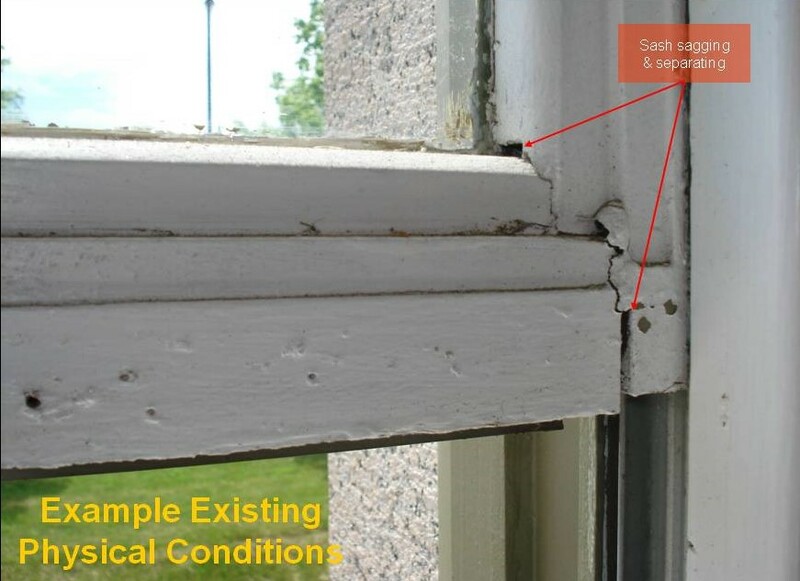 After the initial stabilization phase, the scope of work included structural remediation to wood framing, masonry re-pointing and all new systems. 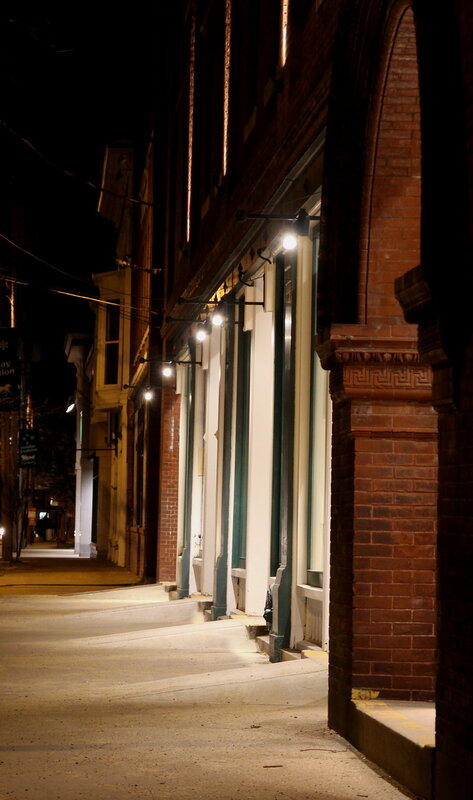 Restoration of windows, doors and interiors created eye-catching retail spaces on the ground level. 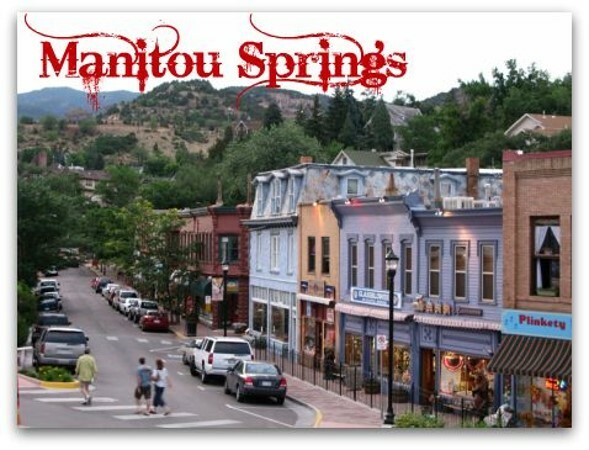 All the storefronts were quickly rented. In a few years time, the building’s rent income will supply funds for rehabbing the Opera Hall above. Acknowledging tremendous and courageous community dedication and commitment to saving a beloved downtown symbol, Maine Preservation is pleased to present a 2013 Honor Award for the Commercial-Restoration/ Rehabilitation of the Norway Opera House. The Mill at Freedom Falls was built in 1834 by John True on Sandy Stream. The original mill was a single 30 x 37 foot timber frame structure built on a massive granite block foundation, producing some 8,000 bushels of grain per year. In 1894, the building was converted to a woodturning mill, with various additions added over the years. This business closed in 1967 and the mill was abandoned. 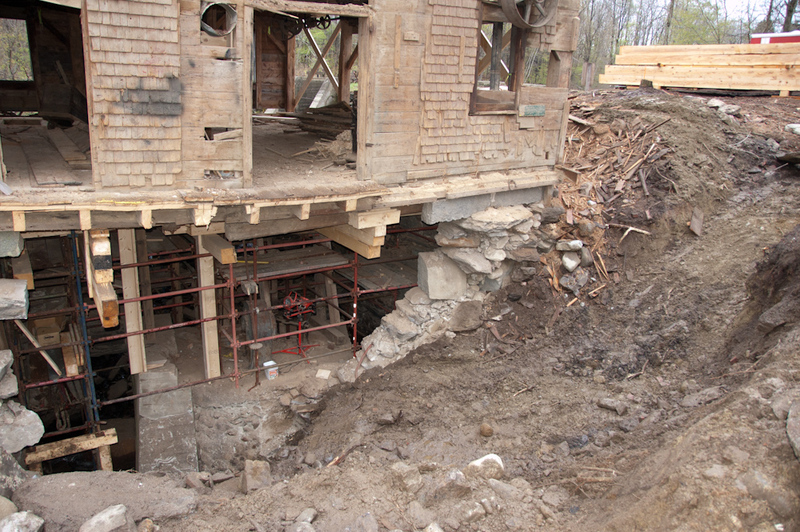 The foundation of the original mill was collapsing under its north wall and the building was sagging badly. 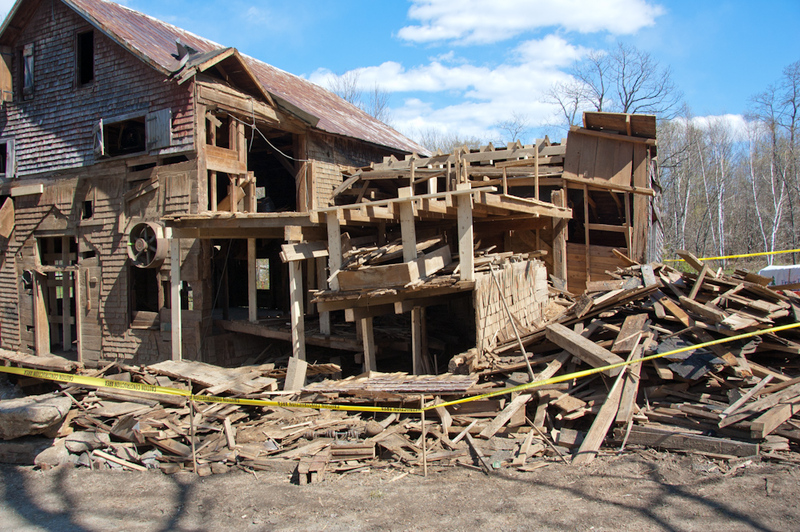 All the additions were stick-built without proper foundations and in a state of collapse. The present owner, Tony Grassi, obtained an option to purchase the mill in 2010. Over the ensuing 18 months, the owner and construction team determined that the main building could be rehabilitated and hydropower restored. The rehabilitation included rebuilding two foundation walls, rebuilding the timber frame structure under the first floor and reconstruction of the four additions. The dam was repaired and hydropower will be installed in 2014. Meanwhile the owner reached out to the community to learn more about the mill’s history and explore how the building could best contribute to the town. This monumental effort is carefully documented in the excellent David Conover film, Reviving the Freedom Mill, which premiered September 29th at the Camden International Film Festival and which we hope you’ll soon see. The result is a fully restored structure set up for hydropower housing a school, the office of the Maine Federation of Farmer’s Markets, and a restaurant and carrying with it the future hope of Freedom. 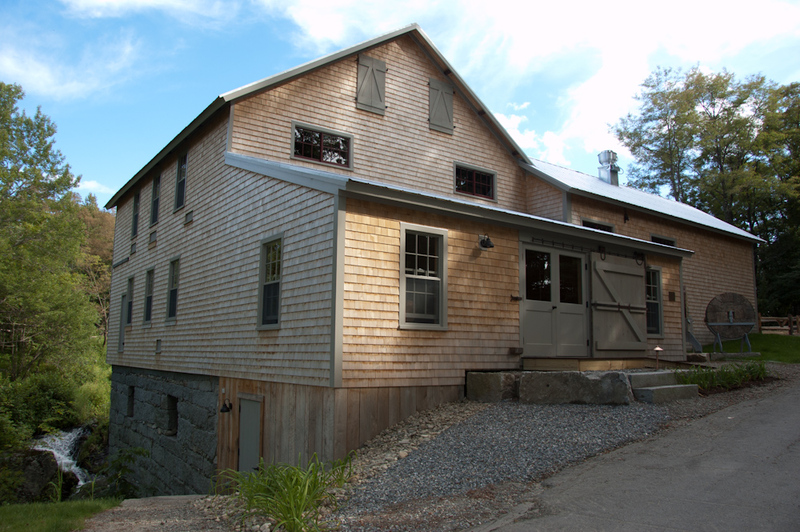 For Tony Grassi’s realizing such potential in the town’s hidden gem, generously funding and managing its restoration and working with the community to share the triumph, Maine Preservation is pleased to present a 2013 Honor Award for adaptive use of the Mill at Freedom Falls. Porter Memorial Library, circa 1890, is named after local attorney Rufus Porter and his son, Henry. Rufus was a library enthusiast when lending libraries were starting to develop in the form of social clubs. After the Civil War, son Henry, made a fortune buying and selling railroads and subsequently donated $10,500 to construct a granite library. Within its rich Romanesque Revival-style, the chimney itself is said to contain ballast stones from the Revolutionary War ship Margaretta. In the past two decades, the library trustees have shown their determination to preserve the granite envelope. An eighteen year restoration effort proved unsuccessful when the building began to leak and sustain water damage soon after work ended in 2004. The trustees courageously responded to the rehab and public relations dilemma. They hired Scott Whitaker of Building Envelope Specialists to make recommendations. To help fund the project, trustee Paula Holm wrote and won grant awards from Maine Community Foundation, the King Family Foundation and Davis Family Foundation. An in-depth forensic assessment was conducted, which recommended appropriate actions to address problems and retain the building’s historic integrity. Repointing the mortar joints to the correct historic profile resulted in protection from water infiltration. Installation of thru-flashing under the wall caps prevented water infiltration into the walls. After full exterior rehabilitation, the building is now in excellent condition and able to respond properly to the harsh seacoast weather. Maine Preservation is pleased to present a 2013 Honor Award for the restoration of Porter Memorial Library. 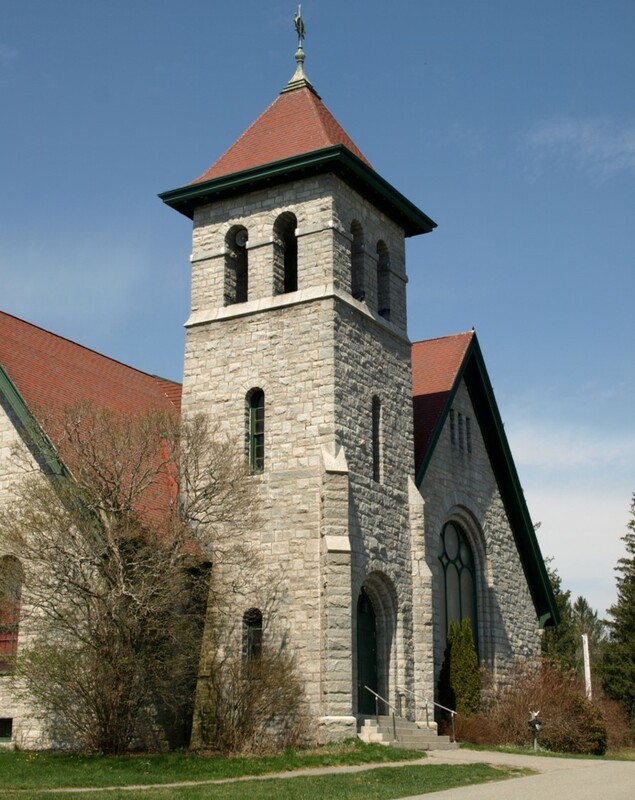 The Moody Chapel, built 1896, was designed by Bangor architect W.E. Mansur in the Romanesque Revival style. Decreasing enrollment and financial challenges recently forced the school to reduce its asset portfolio. The Moody Chapel though treasured became an endangered piece of Maine’s history. In a distinctive new college campus where a number of historic structures are located, this project inaugurates the transition of KVCC with the successful preservation of a landmark. Maine Preservation is pleased to present a 2013 Honor Award for the restoration of Moody Chapel. The Bath Customs House and Post Office built in 1858, is located in the heart of downtown and is perfectly sited to be both highly visible from the river and mark the southern gateway into downtown. This classic Italian Renaissance Revival building built of gray granite symbolized the pride and prosperity of Bath’s heritage as one of the most important ports along the eastern seaboard. Listed in the National Register of Historic Places, it was designed in 1852 by Ammi Burnham Young, the first Supervising Architect of the U.S. Treasury. The building was maintained, however time and exposure had taken their toll, especially on the monumentally-scaled windows. They remained intact but were functionally compromised by wear. Office tenants felt the conditions were poor enough to consider vacating the building. Resources for this project were limited and expectations by stakeholders were high. Objectives included returning all windows to fully intact condition, easing use, reducing air and water infiltration and energy loss, and creating a demonstration project. A workshop was conducted early on to formulate a practical and community-supported strategy to the window restoration process. 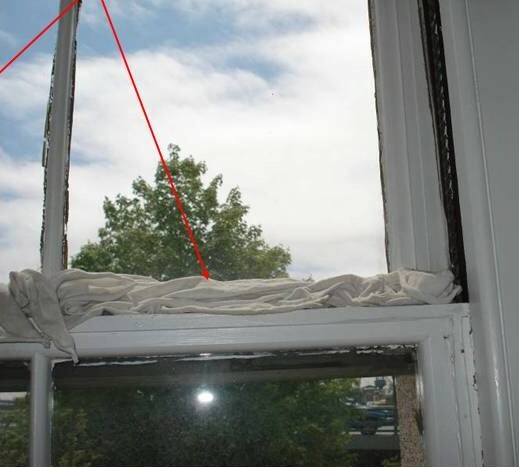 The process to restore 38 huge double-hung windows involved removing each sash, stripping the old paint, re-glazing, painting, and finally re-installing them. In addition, all doors were restored with new weather stripping. 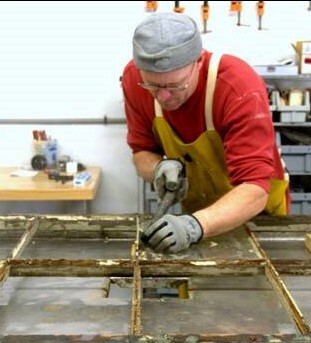 The preservation-based methodology produced excellent results. Tenants were pleased and are no longer inclined to move. 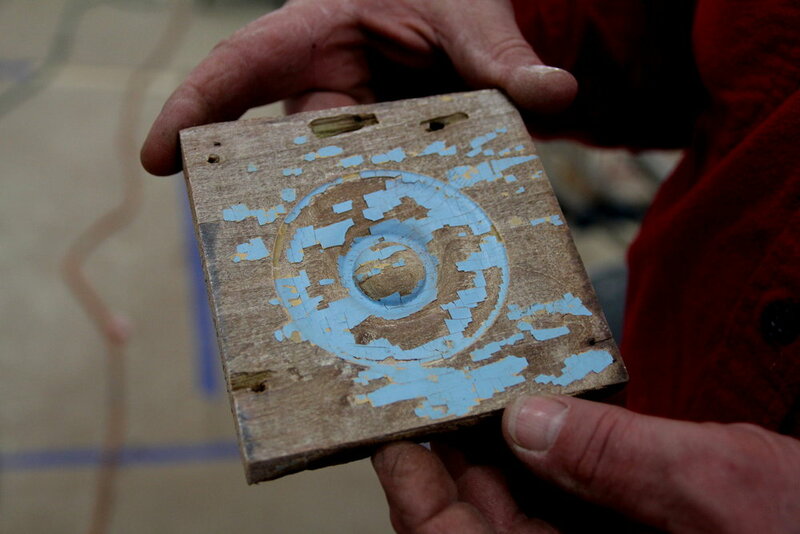 For this focused and unique project, Maine Preservation is pleased to present a 2013 Honor Award for the Restoration and Preservation Crafts used in the Bath Customs House. In 1865, as the Civil War was ending, President Lincoln established the National Asylum for Disabled Volunteer Soldiers. The Eastern Branch, now the Togus VA Medical Center, is the oldest veteran’s facility in the country, opening in November 1866. Building No. 200, the Main Hospital, was built in 1933 with a red brick edifice in the Art Deco Style. Elevated above the other buildings, it remains the focal point of the entire complex. Building No. 200 is the 4th building on campus where parapet repair and re-roofing were performed during the last 5 years. Exterior restoration began in 2012, encompassing 36,000 square-feet of the historic building’s façade and parapets. 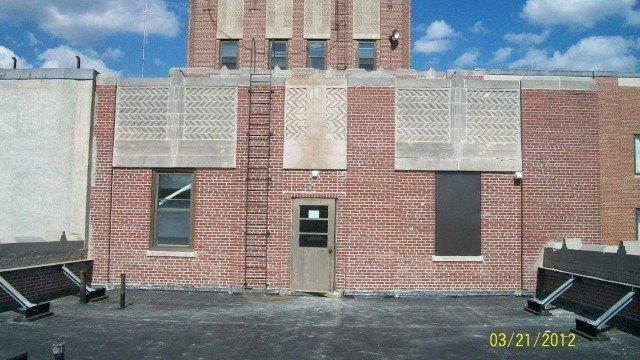 The project involved demolition and rebuilding of parapets on the main building using new brick, cutting and re-pointing all mortar joints, replacement of lintels at all window heads, replacement of existing deteriorated limestone, and a full roof replacement. The project team restored the building’s original grandeur using modern construction techniques to ensure that the 67-bed medical facility continues to operate long into the future. Maine Preservation is pleased to present a 2013 Honor Award for the rehabilitation of the Togus VA Building No. 200, Main Hospital. The Emery School was built in 1913 in the Georgian Revival style. The original architect was Miller and Mayo who designed many other schools and public buildings in the state. Named after beloved local teacher Thomas Emery, the school served a community of mostly French Canadian mill workers. When the public school closed in 1993, it was used for day care until 2007. Since then, the vacant building grew to be more and more of a burden to the City. Developers Collaborative and Avesta Housing teamed up to redevelop the former school in 2011 into elderly housing. The work to restore the building was extensive, including 100% repointing of the masonry building envelope, and chimneys and interior millwork. Unfortunately, asbestos in the plaster required the expense of its wholesale removal. Within the new senior housing facility, the “feel” of the old school was maintained, especially the large open corridor spaces and historic stage which now serves as shared community space. With its advantageous location near downtown and a large residential district, this former liability has transformed into a neighborhood anchor and a historic landmark, providing homes for 24 Biddeford area seniors. Maine Preservation is pleased to present a 2013 Honor Award for the adaptive use of the Emery School Apartments. The Children’s Hospital, designed by Maine architect Frederick A. Tompson complimented many of the neighborhood mansions in its Colonial Revival Style. It was constructed in 1909 in connection to the 1801 Mussey Mansion which was also occupied by the hospital. The Children’s Hospital provided free care to patients who could not afford treatment until 1948. 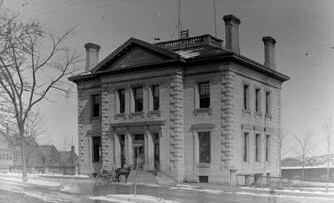 In 1962, the building was sold to the University of Maine and the Mussey Mansion was demolished. After the University vacated the building in 2010, it remained unoccupied. 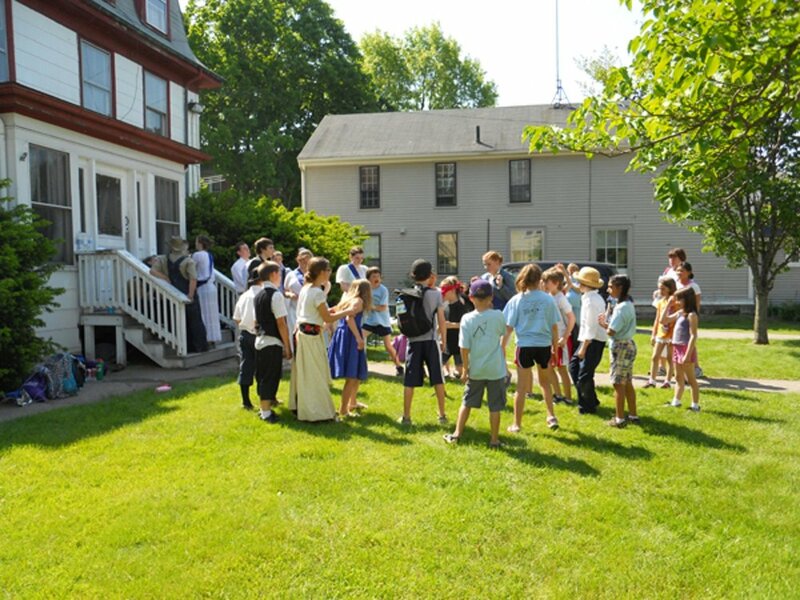 The rehabilitation of the property by Community Housing of Maine included the significant challenges of the considerable expense of providing on-site parking and constructing a large new addition within a National Register and local historic district. To accomplish both, the addition’s design was based on the Federal-style Mussey Mansion. Within the 1909 hospital building, the challenges of meeting life safety & energy efficiency standards were accomplished though careful detailing which minimizes visibility of added insulation and MEP systems. Original windows in the most visible elevations were retained and rehabilitated. The project received Federal and State historic tax credits and the building was certified LEED Platinum. The result is a project that created a total of 35 housing units and constructing a large addition that is cohesive with neighborhood history. Maine Preservation is pleased to present a 2013 Honor Award for the adaptive use of Elm Terrace. The Lisbon Falls High School, opened in 1906, is a significant example of Romanesque Revival architecture. Elaborate features such as an octagonal finial­ topped tower and terra cotta accents were designed by noted Maine architect, William R. Miller. 1985 and finally as administration offices until 2005. The building remained vacant since. 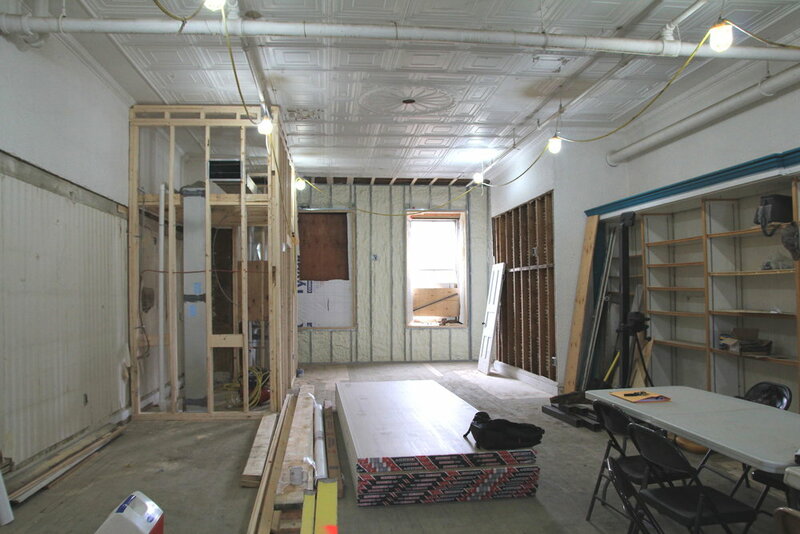 Alterations to the school over time included partition walls dividing the classroom spaces, faux wood paneling on the interior walls, and the boarding up of several windows, each of which presented potential areas for rehabilitation. Recognizing an opportunity for elderly housing, Greater Brunswick Housing Development Corporation planned for twelve new apartment units within the original classrooms while preserving the general plan and corridors. The scope of work included repairing historic windows and adding operable interior storms, replacing missing windows, installing dormers on the rear of the building and creating a new accessible entry while maintaining the historic appearance and character. After years of vacancy, the conversion of the former school into housing for elderly residents is a continuing contribution to the community. Maine Preservation is pleased to present a 2013 Honor Award for the adaptive use of Lisbon Falls High School. Park Street School, designed by the Boston architectural firm of Hutchins and French in the Colonial Revival style, was completed in 1922. It operated as a high school until 1939 and an elementary school until 2006. The school closed in 2006 and remained vacant. The property became overgrown and hardly visible from the street. Avesta housing saw an opportunity to provide much needed affordable housing in the neighborhood. Their rehabilitation project focused on the retention of the significant brick building facing Park Street while recent rear additions were replaced with a compatible modern addition. The most significant interior spaces remain intact and recognizable to former students, while the classrooms have been made into apartments. All corridors were retained and the two-story gymnasium at the core of the building was utilized for community space. Original wooden windows were retained on the prominent elevations and wooden pilasters were replicated. 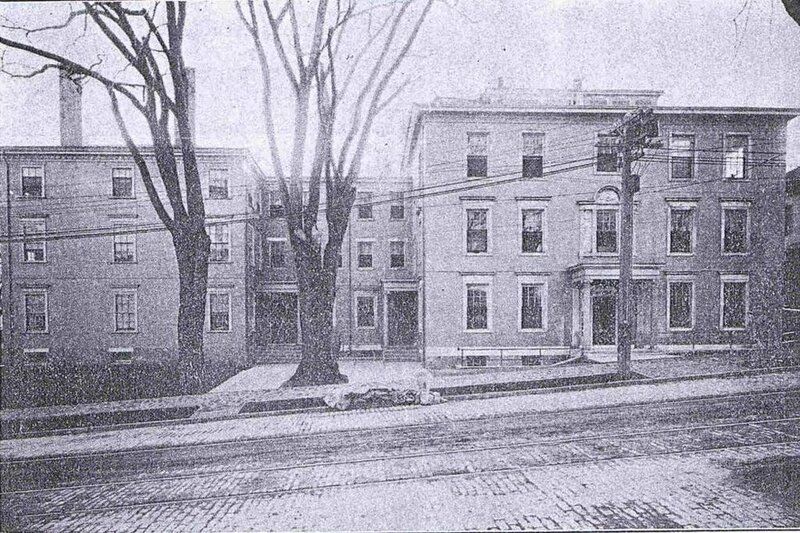 Trees planted too close to the building were removed and disease-resistant elms replanted along the street, as shown in historic photos. Avesta and its team were able to create 30 affordable elderly housing units while maintaining significant architectural features of the former school. Maine Preservation is pleased to present a 2013 Honor Award for the adaptive use of Kennebunk High School. In 1850 Boston merchant and financier Benjamin Bates incorporated Bates Manufacturing Company and built Mill No. 1, and in 1854 built Bates Mill No. 2. These mills provided jobs for people from throughout New England, the French Canadian provinces and many parts of Europe for 100-plus years. In the mid-20th century, as textile manufacturing shifted South, thousands of jobs were lost in mills across New England, including Lewiston. Bates Mill No. 2, although never completely empty, was underused for 50 years prior to 2012. New owner Nathan Szanton wished to honor the pioneers who built the cities of Lewiston/Auburn by helping find 21st century uses for the enormous stock of historic mill buildings. Many of the workers for the 2012 building’s renovations were great-grand-children, grandchildren and children of factory workers there. The project included repointing the West and South brick façades. New building systems installed included 18 solar panels added on the roof. Replacement windows and insulation throughout provided for 48 mixed-income apartments. The building is located is at the heart of Lewiston’s redeveloping Riverfront and is the first project in Lewiston’s history to convert historic mill space into housing. For the leadership in preservation of Maine’s rugged and beautiful 19th century mills, Maine Preservation is pleased to present a 2013 Honor Award for the adaptive use of the Lofts at Bates Mill. Sanford Mill #1 is a 66,000sf former textile mill building established by Thomas Goodall in 1867. Located a short distance east of downtown, the Mill is a contributing resource to the Sanford Mills Historic District. The building is part of a cohesive collection of historic manufacturing buildings that formerly comprised the main mill yard of the Sanford Mills Company. In 2006, following years of vacancy and decay, the owner began to dismantle and demolish the structure. Deeply concerned, the town of Sanford contacted Northland Enterprises to see if they could band together to save the Mill. Through eminent domain, the town sold the Mill to Northland Enterprises which agreed to clean up the existing environmental contamination and rehabilitate the property. When they took it over, the building was a brick shell with, as they described it a “swiss cheese roof.” Northland determined to create 36 income-restricted apartment units and 22,000 square feet of commercial space. They financed with a combination of local, state and federal sources. The redevelopment scope included masonry re-pointing, roof replacement, installing new historic floor decking replacement, and replica windows. In addition, the building underwent a comprehensive dehumidification and lead abatement program. Thanks to Northland, Archetype Architects and Wright Ryan Construction for their creativity and vision. This project is the first of the Sanford Mills to be revitalized; giving confidence to the town and to future developers. Maine Preservation is pleased to present a 2013 Honor Award for the adaptive use of the Sanford Mill #1. Built in 1895 by John F. Lamb, the Lamb Block was the first commercial brick structure of its size on Depot Street in Livermore Falls. Harnessing Main Street’s post-civil war character, the Lamb Block consists of a first-floor storefront, second floor offices and a large third floor meeting hall. 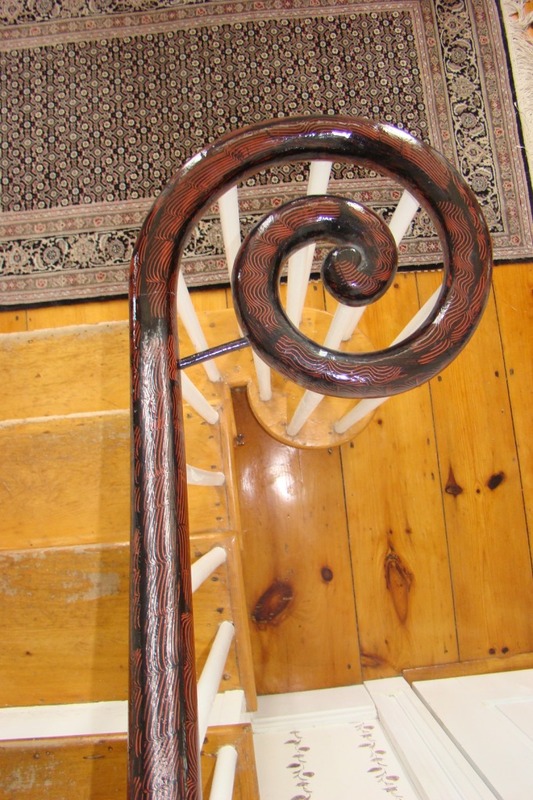 Lack of maintenance over the years led to decay and a deteriorated appearance. 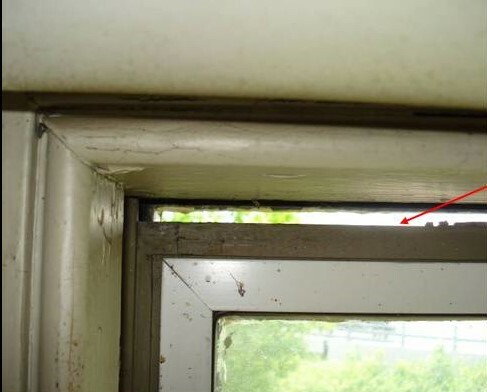 Adjoining construction contributed to a loss of integrity in the original structure. After completing the Androscoggin Valley Medical Arts Center the year prior, new owner Kevin Bunker saw this project as the next step to revitalizing downtown Livermore Falls. The Town approved a $400,000 Communities for Maine’s Future bond application, which received the top rating by the State review panel, but the money was not released. Maine Dept. of Economic and Community Development (DECD) and Maine Rural Development Authority then worked to find bridge financing for the project. As part of the rehabilitation effort, historic moldings, fixtures, lighting and wood floors were restored to their original state. 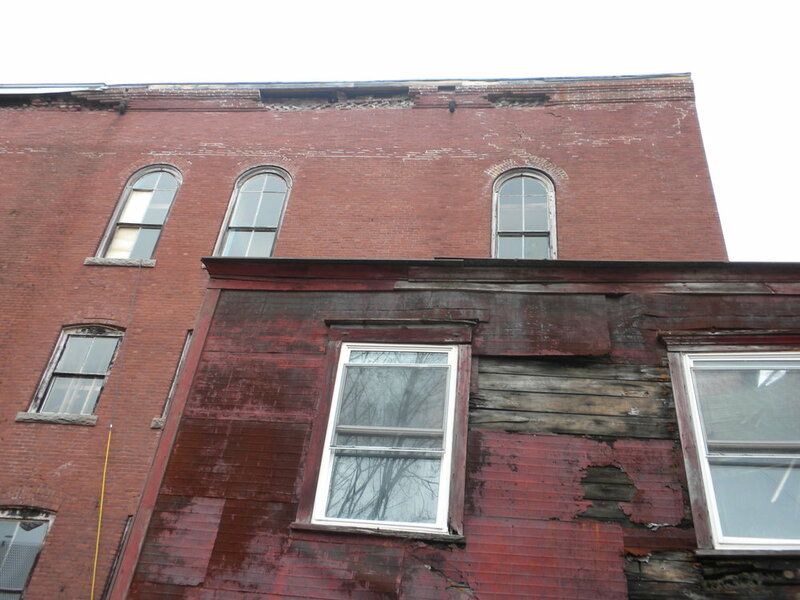 Adjoining non-historic buildings were removed and exterior damages repaired. The masonry exterior was repointed creating an authentic look. 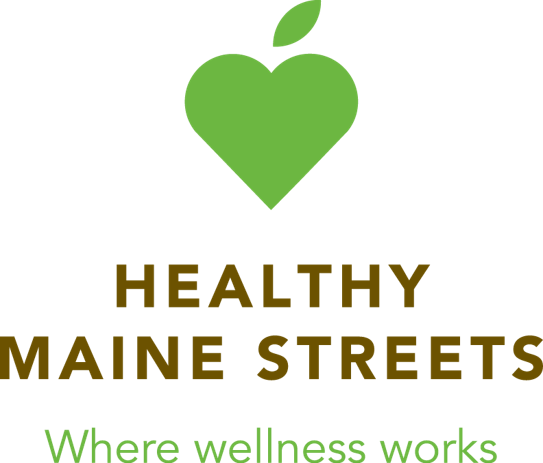 The building houses the Western Maine Family Health Center on the third floor, while the first and second floors seek motivated professional offices and/or cafes. The restoration of this historic landmark has helped keep Livermore Falls’ local heritage alive and thriving. 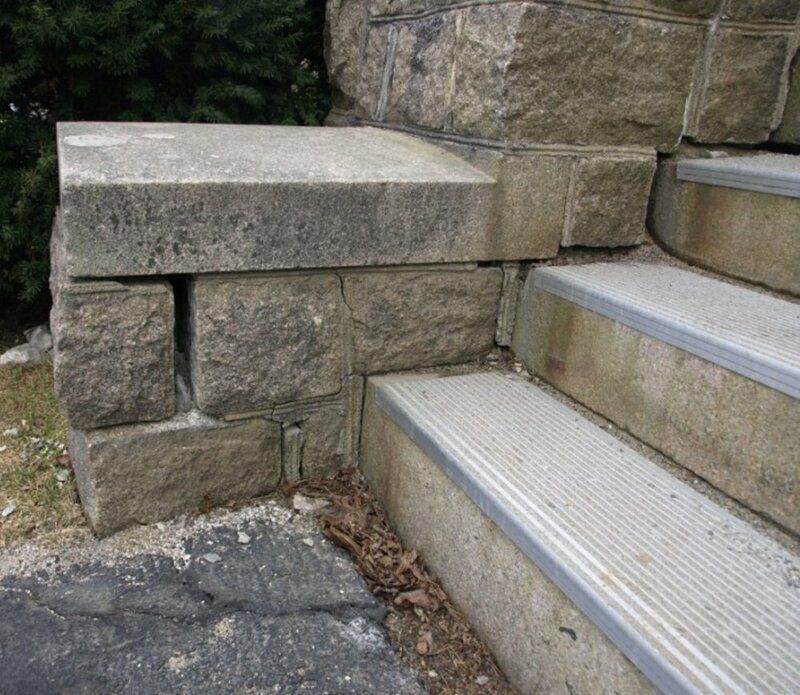 For the dedication and vision of those involved, Maine Preservation is pleased to present a 2013 Honor Award for the adaptive use of Lamb Block. The Colonial Inn is a rare surviving example demonstrating a common trend in seaside tourist accommodations – expansion. It began its life in the mid-19th century as a Greek Revival-style residence. Circa 1887 its first hotel addition was in the French Second Empire style; about 1904, a sizeable Queen Anne style addition was constructed; followed by a circa 1920 enlargement in the Arts and Crafts style. A fire in 1951 destroyed the rear wing of the building and the tower roofs were removed, resulting in the final form seen today. It is the last of Ogunquit’s once-numerous large Victorian-era hotels still in operation as a hotel. Colonial Inn needed rehabilitation to keep up with guest accommodations for today’s market demands within a busy seaside community. It was important to maintain the many changes the building has experienced throughout its history in order to retain the detailing of each of its four styles. To restore its early 20th century character, the building was re-clad in wood shingle siding, wood windows were installed, and an enclosed porch on the east elevation was reopened to return the exterior wall to its original position. The project team showed patience and careful planning in rehabilitating this rare building type. As a result, the block form retains its distinctive architectural history while providing thoroughly updated accommodations. Maine Preservation is pleased to present a 2013 Honor Award for the Commercial Rehabilitation of the Colonial Inn. Rockefeller Hall was built in 1933 by the National Park Service to house Navy personnel. John D. Rockefeller, Jr. commissioned noted architect, Grosvenor Atterbury to design it in the French Norman Revival-style. Remarkably, the building remained untouched from 1934 to 2002 while continuing to serve its original use. The Navy returned the property to the National Park Service in 2002 and for 11 years it stood unoccupied. In 2009, rehabilitation was funded through a generous $1 million gift from Edith Robb Dixon to update the facility for the Schoodic Institute, which provides professional development for teachers, and educates students in stewardship and conservation of our natural and cultural treasures. Many design alternatives were explored to minimize disruption to the historic floor plan. The plan was segmented into three totally unconnected major blocks, which was particularly challenging. Additional items included interior finishes, system upgrades, restoration of the building envelope, accessibility and elevator, and original landscaping. Rockefeller Hall is now a flagship building featuring a museum interpreting the history of the region including the Naval base, and the activities of Scoodic Institute and the building is now open to the public for the first time in its long history. This project is an excellent example of facilitating adaptive use while retaining National Register significance. Maine Preservation is pleased to present a 2013 Honor Award for the adaptive use of Rockefeller Hall.